Domestic stock markets closed Friday's session on a negative note. The S&P BSE Sensex plunged 155.14 points, or 0.41 per cent, to end at 37,869.23, as investors booked profits amid lacklustre global cues. The NSE's Nifty50 index skidded 41.20 points or 0.36 per cent to settle at 11,429.50, snapping it's five-day winning streak. The equity indices were dragged down today by financial stocks such as State Bank of India and ICICI Bank Ltd. Asian stock markets fell today despite signs of greater government support for firms in China, with global trade tensions clouding the outlook. Top laggards on the BSE index were Larsen & Tourbo, Power Grid, Tata Motors, Vedanta, Sun Pharma and SBIN, ending between 1.67 per cent and 3.79 per cent lower. SBI, Reliance, ICICI Bank majorly contributed to the losses in Sensex. Prominent losers on NSE index were Sun Pharma, GAIL, Tata Motors, vedanta and SBIN, ending with losses of between 2.97 per cent and 4.63 per cent. 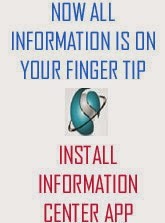 lign: justify;"> State Bank of India (SBI) fell 4 per cent after the lender announced its first-quarter results. The bank reported a standalone net loss of Rs. 4,876 crore for the April-June period, marking the third quarter of net loss for SBI. ICICI Bank also slid as much as 2 per cent. "Markets closed negative today as data from Europe was negative. Most European markets are down 1.5 per cent to 2 per cent", said Viral Berawala, CIO, Essel Mutual Fund. On the other hand, major gainers in the Sensex pack were HeroMotoCorp, Mahindra & Mahindra, TCS, ITC, Kotak Bank and YES Bank, rising between 0.46 per cent and 1.41 per cent. 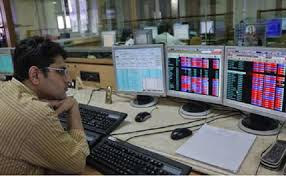 Eicher Motors, BPCL, Hindustan Petroleum, Mahindra & Mahindra and HCL Tech (rising between 0.98 per cent and 5.15 per cent) led the gains in Nifty. Eicher Motors Ltd shares rose as much as 5 per cent after the company posted an about 25 per cent jump in its June-quarter profit on Thursday.